As Iranians we are to be reminded that we are with Bashar al-Assad's Syria, thanks to the ayatollahs that we keep in power, a collective responsibility. The Syrian defectors reveal horrors of life under Bashar al-Assad’s regime in reminder for West to ‘not just focus on fighting Isis- Daesh’. 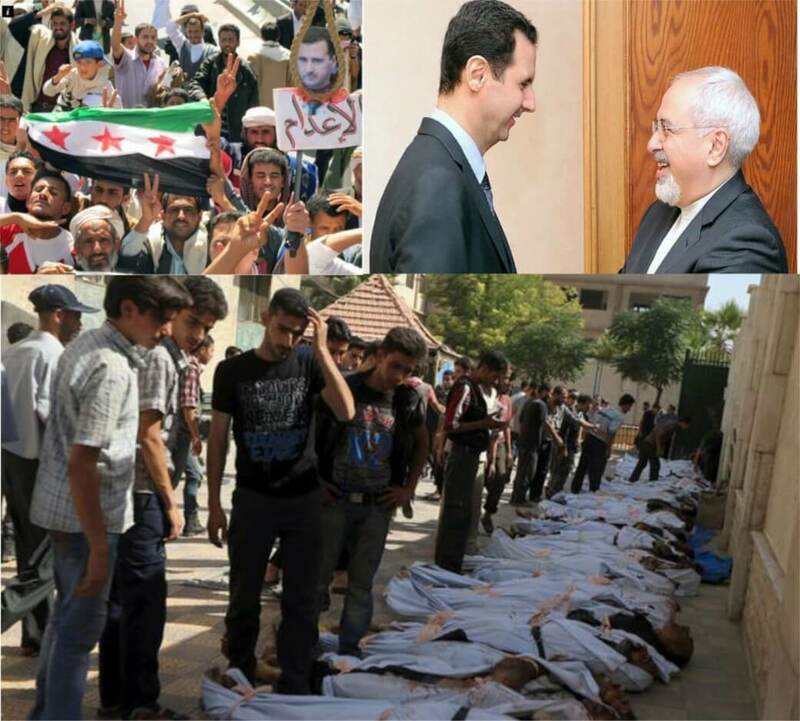 As Iranians we are to be reminded that we are on the side of Bashar al-Assad, thanks to our ayatollahs. What is going on in Syria, is also our responsibility as a nation. 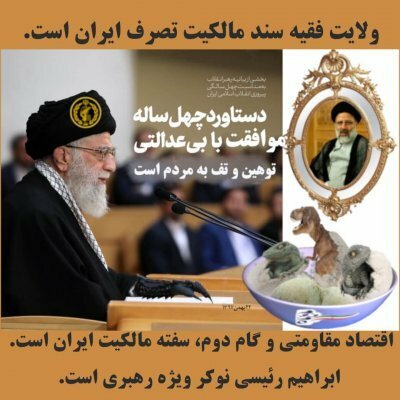 We keep the ayatollahs in power. The Iranian FM, M.-J. Zarif, restless, is a flying minister since July; visiting the ayatollahs’ mates in the Middle-East. Soon after this picture of cordiality was taken is Damascus, the Syrian regime bombed Damascus suburb, opposition-held Douma. More than 100 people were killed. Zarif and the Iranian media kept silent on the issue. After all, we are not to criticise our friends’ atrocities… Or are we? By fueling the hubbub on the nuclear deal (JCPOA) Khamenei minimises the relations with Putin’s Russia and stays mute on the Aleppo-Syria catastrophe. The Russians, in their fight to keep Bashar al-Assad in power, are using their air force, blessed by the West. The ground operations are contracted to the Iranian force, Ghods, which operates alongside Assad’s army. Since the bassidjis are not enthusiastic about dying in Syria, they refuse to serve or ask for hefty wages, too expensive for the ayatollahs. Hence Ghods is “recruiting” young men among the Afghans and Pakistanis (preferably Shiites) by cooing (promising Iranian nationality, education) or constraint (pressuring the families). “The Americans seek to use the deal, which it is not clear if it will be passed or rejected in Iran or in America, to infiltrate into Iran,” Khamenei said. Anyone in Europe reads Tehran Times to learn a bit more instead of praising “the moderate” Hassan Rouhani?